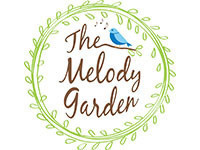 The Melody Garden Drop-In Music Class for Valentine's Day! Pop-in to have some musical fun! Between sessions, Rebecca Smith, Garden children's musician, offers pop-up classes! Rebecca will inspire you and your seedling or sprout to sing and dance to nature-themed music. Imaginations will soar as your child learns to sing in tune and move to rhythm. Classes are outside on pretty days! Each class ends with an instrument petting zoo where your child can play a variety of instruments! THIS CLASS HAS BEEN CANCELLED. Please check back for more Melody Garden offerings, and contact rss@clemson.edu with questions.